A commemorative Rs. 1000 currency note has been printed to mark the country’s 70th anniversary of independence. 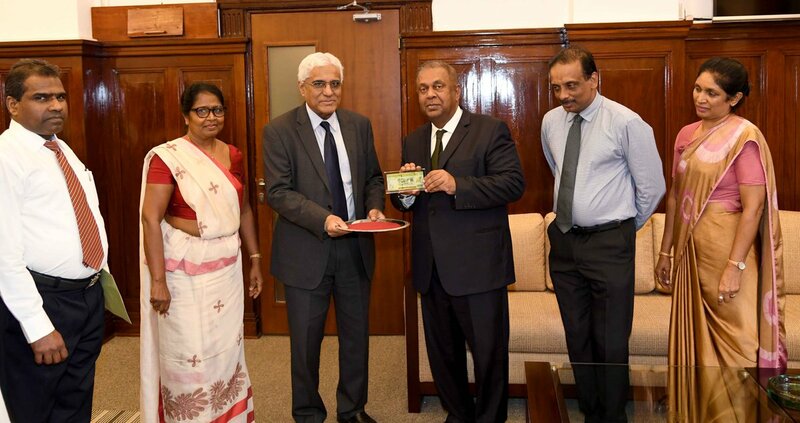 It was handed over by Central Bank Governor Indrajit Coomaraswamy to Finance Minister Mangala Samaraweera yesterday. The new note, which is dated February 4th, Independence Day, contains 3 key differences from the current Rs. 1000 note. Second, the image of the Ramboda Tunnel in the background of the current note is replaced by four structures: a church, a mosque, a kovil, and a pagoda. Third, the number 70 now succeeds the “S” designation on the notes. Five million of these commemorative notes were printed and will enter circulation. This is only the fourth occasion in Sri Lanka’s history in which a commemorative currency note has been created.